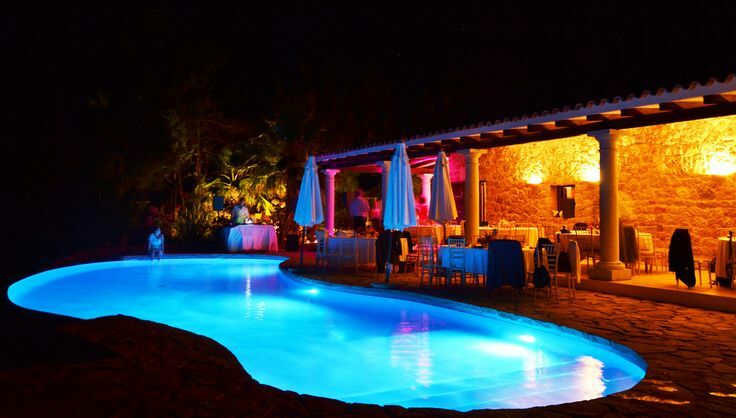 Adorable country house with enticing sunset views, perfect for weddings. 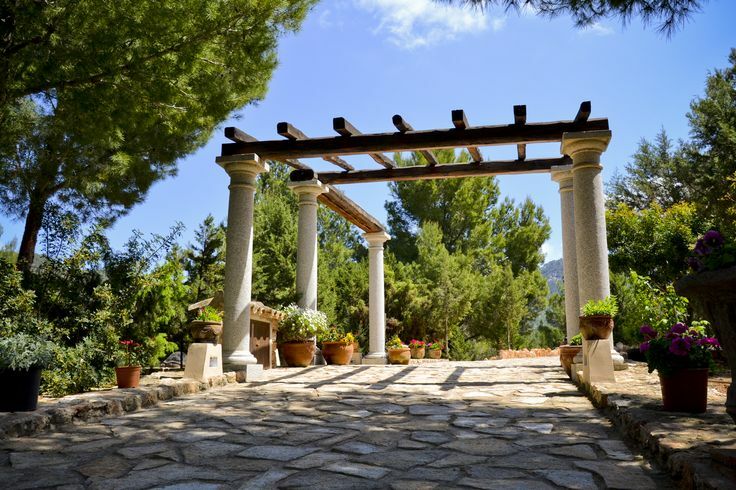 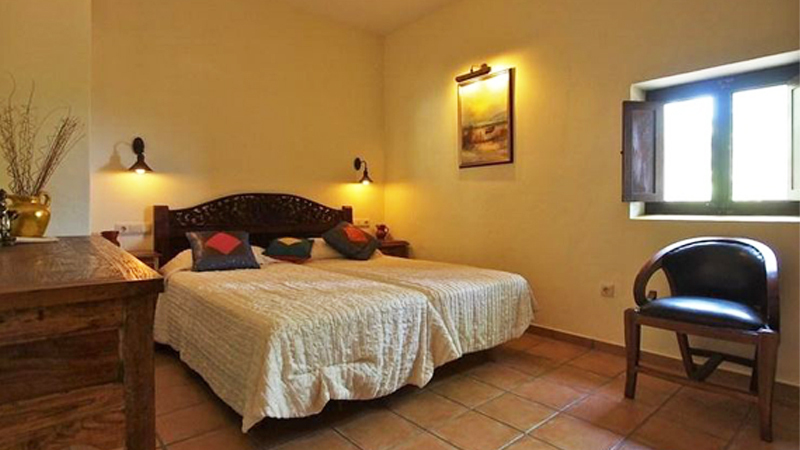 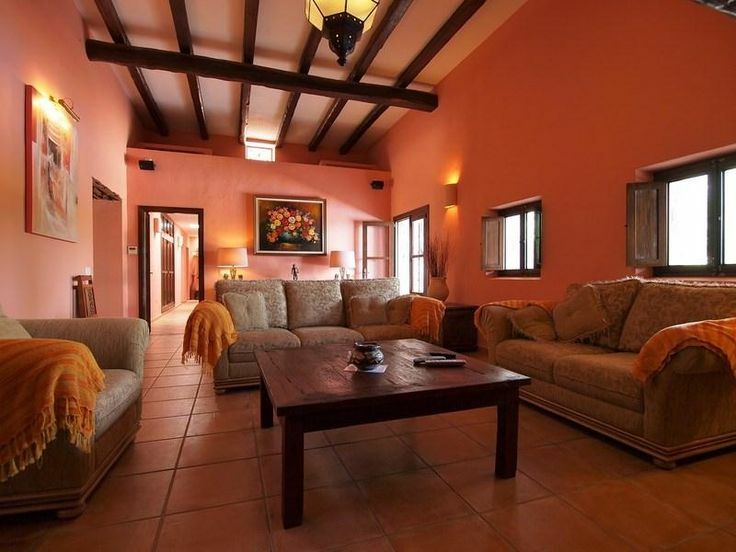 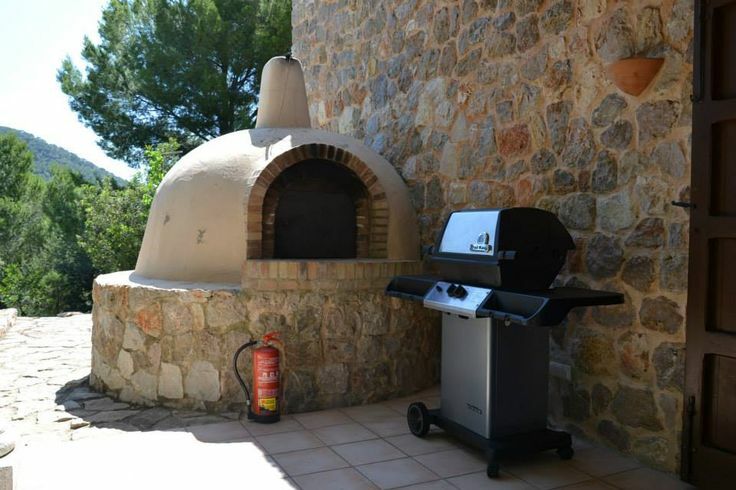 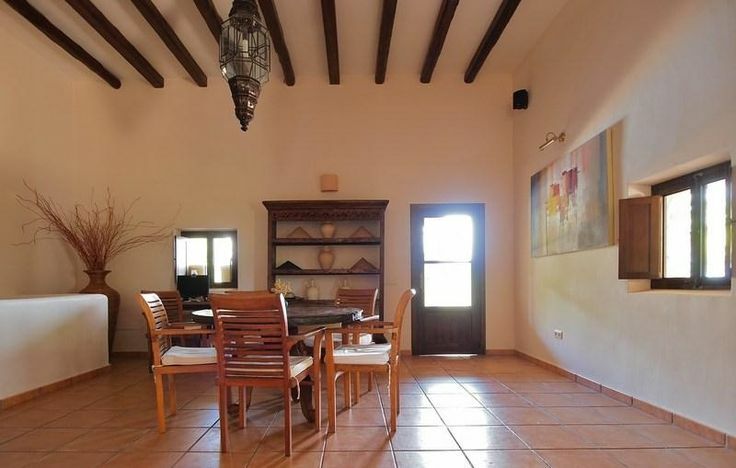 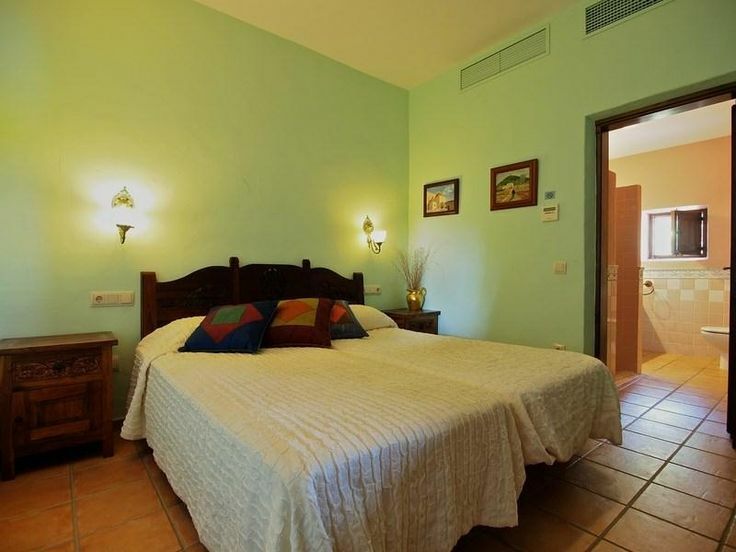 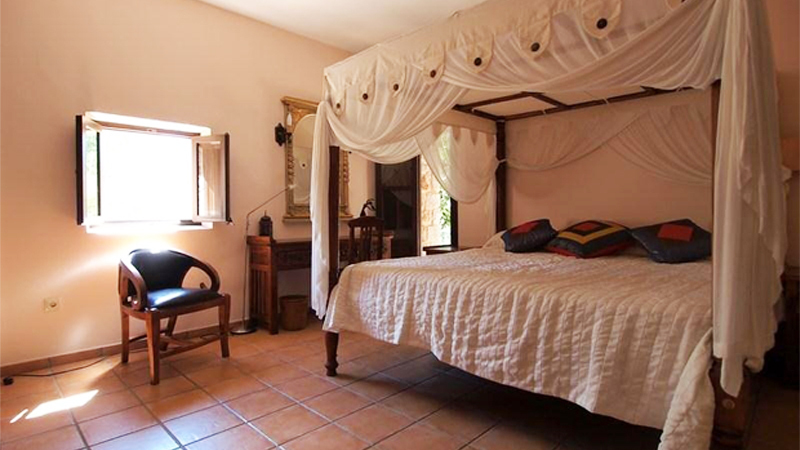 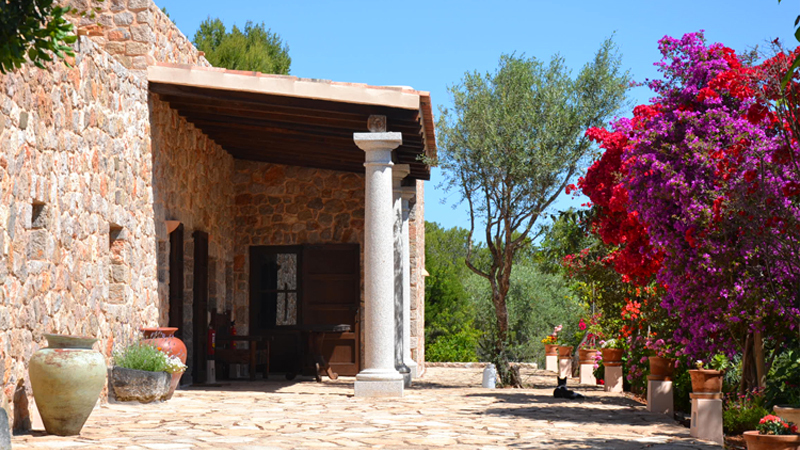 This typical Ibicencan house has been beautifully renovated and is close to San Jose and Cala Vadella. 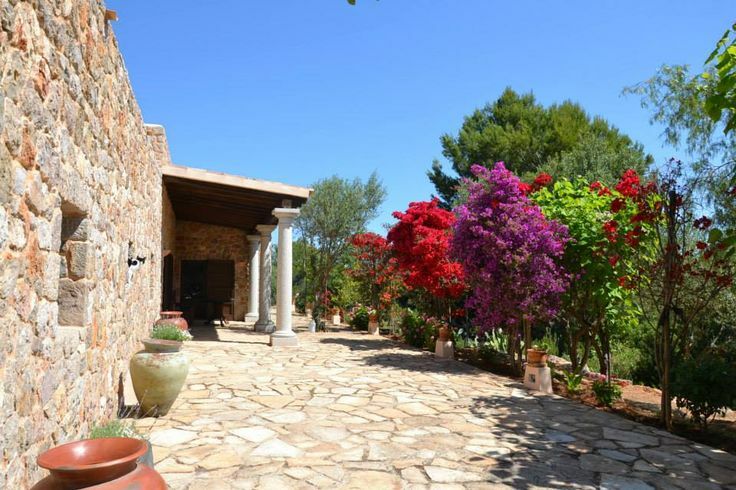 Located in a protected area of forest, this country home with walled grounds provides great privacy, security, amazing sea views and sunsets. 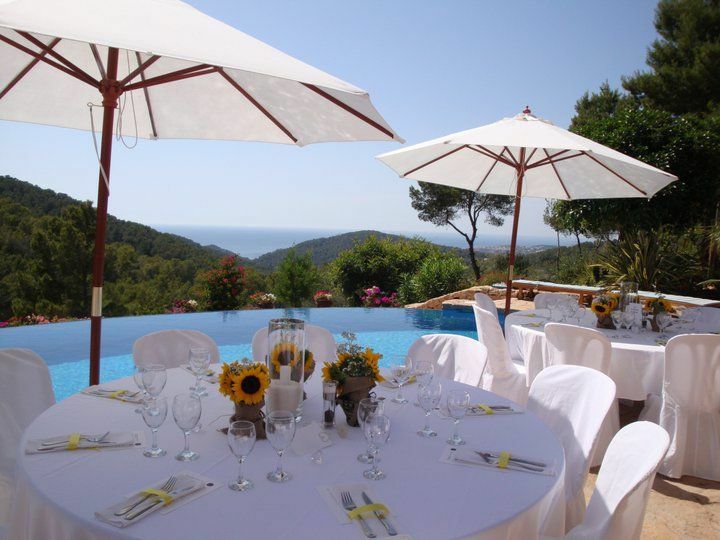 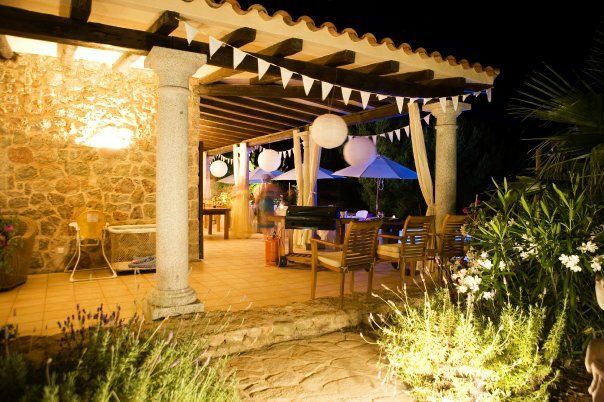 It is already a popular choice for small events and intimate wedding celebrations. 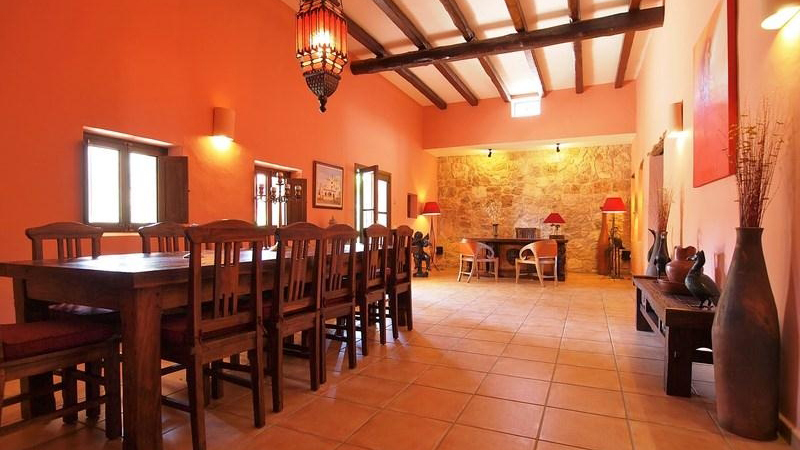 The farmhouse is on one level and offers spacious rooms with exposed wooden beams, there is a large dining area that seats 14, and a lounge with large traditional fireplace. 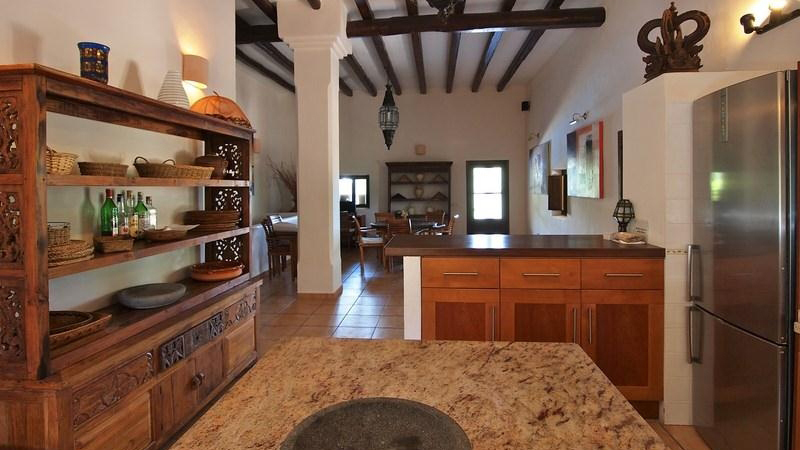 Adjoining this area is a huge island kitchen and includes a smaller dining area. 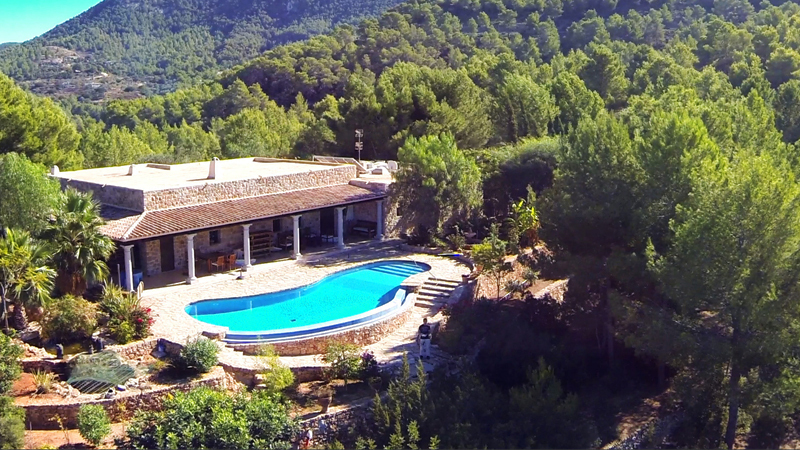 There is also a large basement room with the entrance showing exposed rocks, it has a dual purpose with a state-of-the-art home cinema consisting of a projector, a 3m x 2m screen and 10 comfortable armchairs; it also has table tennis. 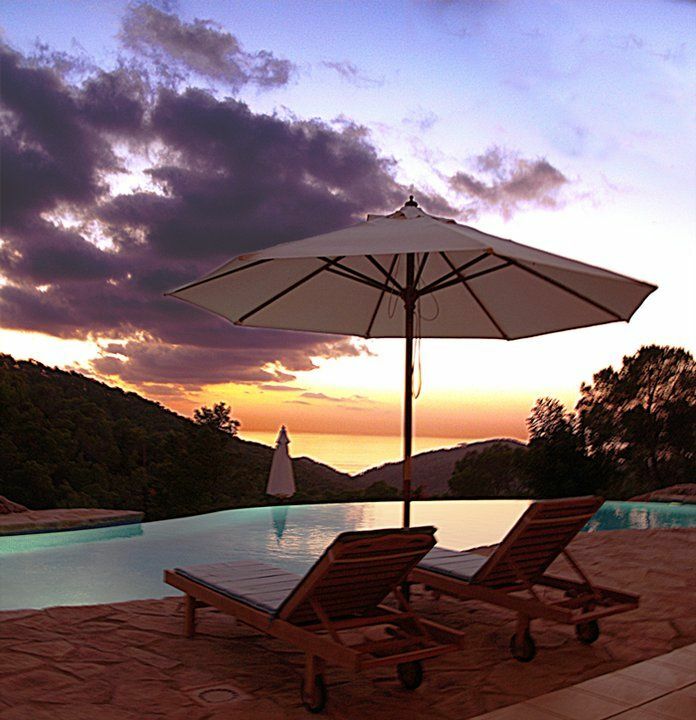 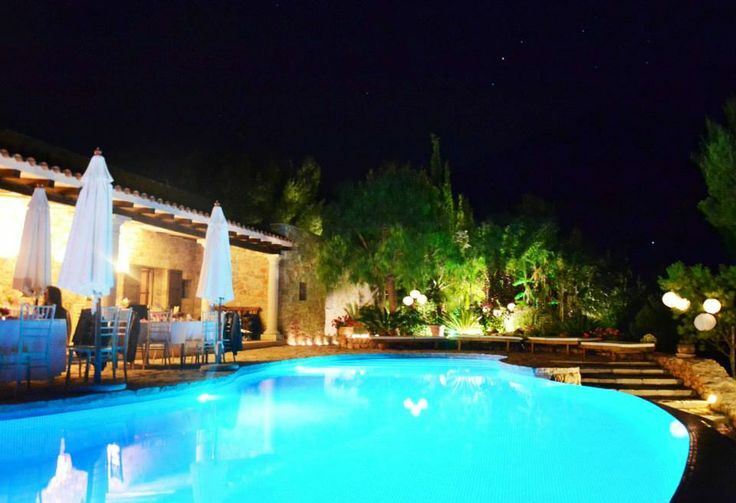 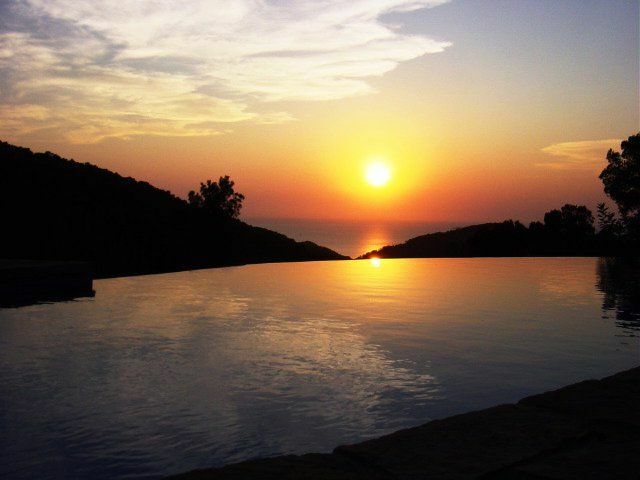 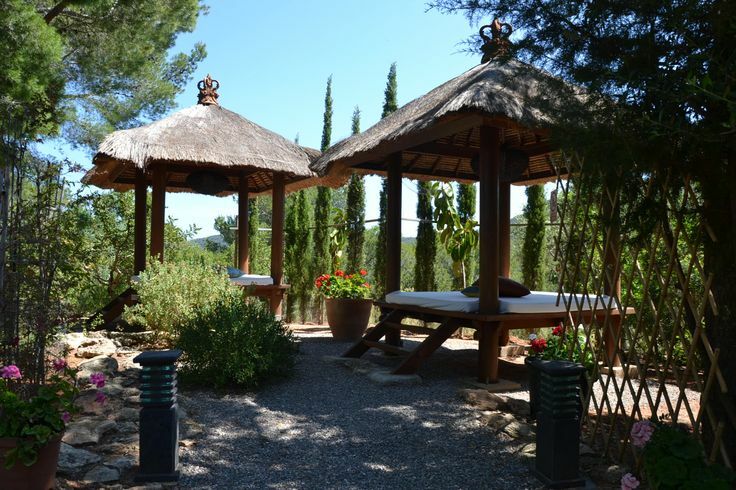 The grounds of the farmhouse offer numerous terraces and a large infinity pool to relax by. 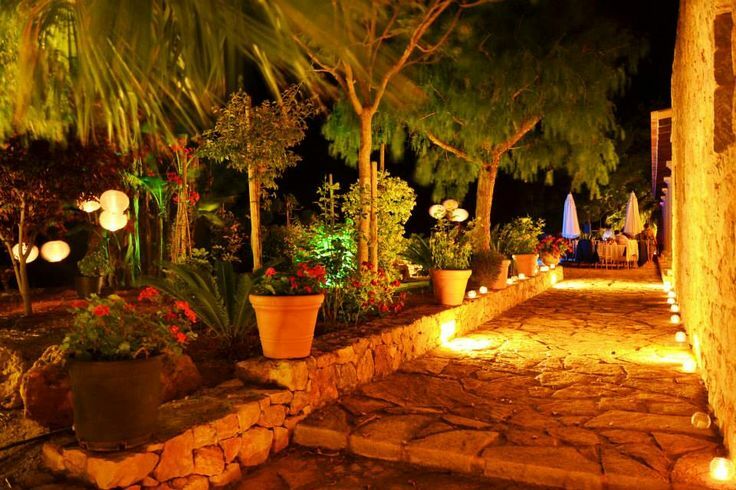 The terraces are situated in a beautifully planted garden, with soft romantic lighting. 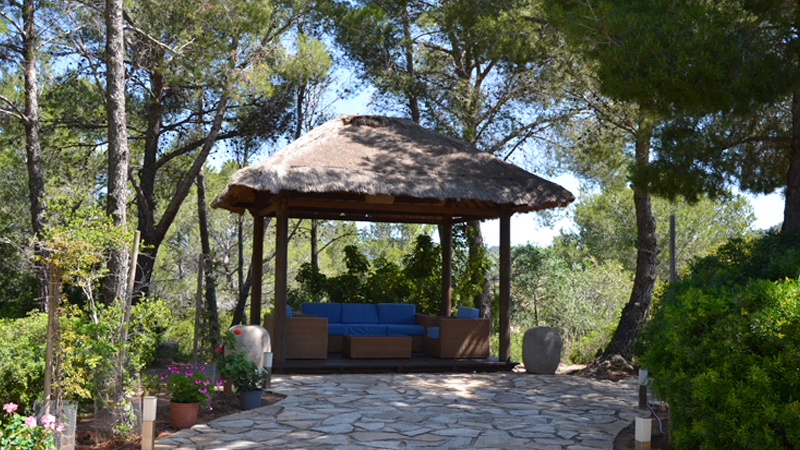 There is also an old farm track that leads to the nearest beach. 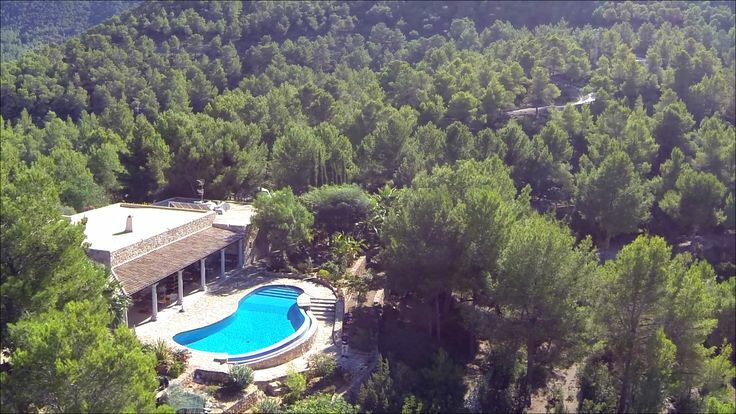 The walk will take about 20 minutes. 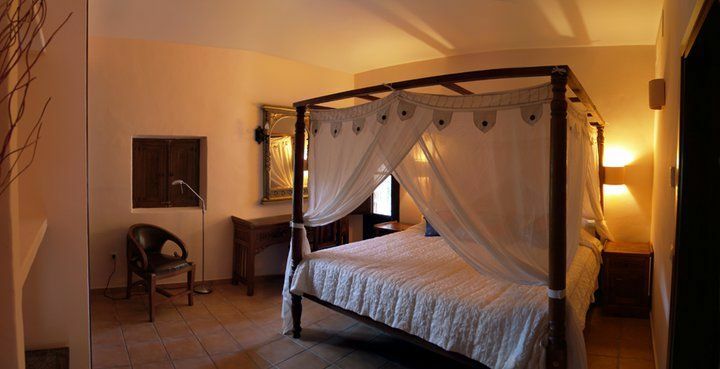 Luxurious four poster bed and canopy, en-suite bathroom and large built in wardrobes. 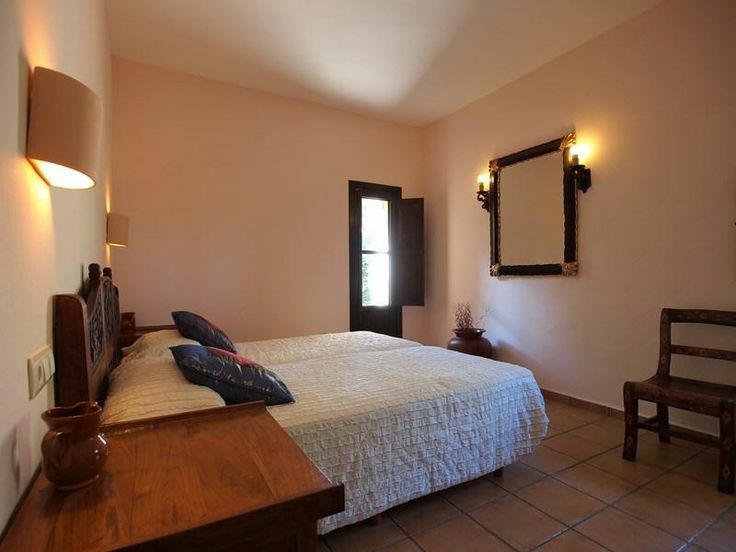 Double bed, en-suite bathroom and built in wardrobes. 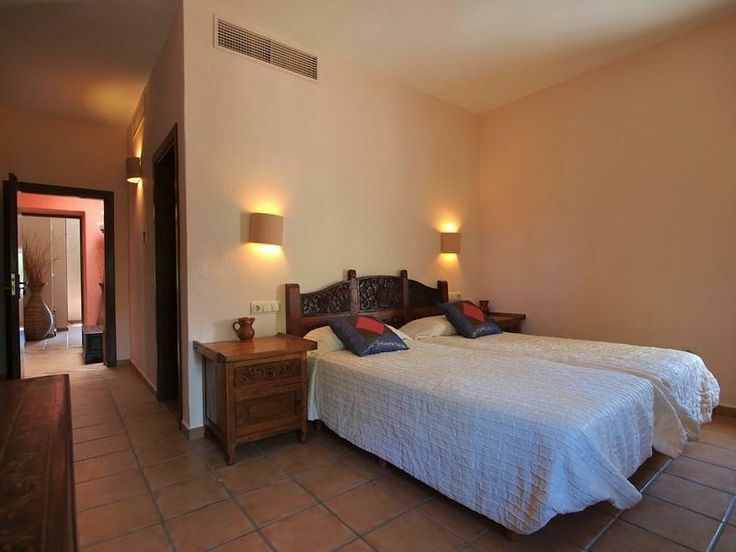 Twin beds, en-suite bathroom and built in wardrobes.